With high-end food profits often being as lucrative as street drug-trade, the problem of ‘fake foods’ continues to persist. One main ‘fake food’ stocking store shelves is olive oil – with fake olive oil being exported from Italy. With first-pressed, real olive oil going for as much as $50 a gallon, food fakers have been adding cheap additives like sunflower or canola oil to real, extra virgin olive oil (EVOO) to produce the same gallon of ‘olive oil’ for as little as $7. The problem has become so big that the Italian arm of the food fraud division has hired 60 tasters who can tell the difference between real and fake olive oil. One Italy-based journalist estimates that as much as 80% of the olive oil sold in America is fake. He also says that within Italy, about half of the EVOO sold in supermarkets is mislabeled. Apparently, an ‘agromafia’ is in the business of selling fake olive oil, wine, cheese, and other high-end foods. It’s a $16-billion-dollar-a-year system of food fraud, to which olive oil makes a generous contribution. How can you make sure you aren’t being duped? Look at labels carefully. 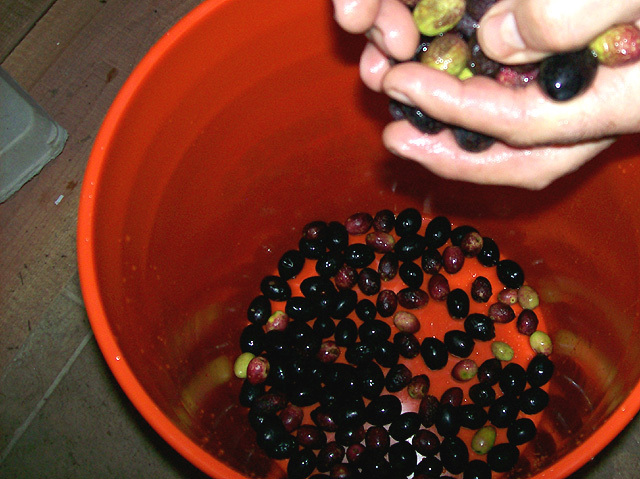 If the oil comes directly from Italian cities known for producing olives, it is more likely legitimate. Oil from Sicily or Puglia is a good sign. Also consider California EVOOs since they can be the real deal too, and might be fresher since they don’t have as far to travel. Sticking with known EVOO brands that have a good reputation is another way to be sure you’re not paying top dollar for cheap vegetable oils. These may be from an earlier study in 2010 that evaluated a larger number of brands. You could also make your own, but it takes a lot of olives to create several ounces of extra virgin olive oil. These homesteaders did it successfully, though.